Aug. 21, 2018 | 3 p.m.
Prairie du Chien is the seat of Crawford County, and is situated on the Mississippi River. Since the 2016 election, the national conversation is increasingly focused on life in rural communities across the United States, including public policies intended to improve its economic outlook – concerns like broadband access, agricultural subsidies, and job creation and retention, to name a few. More broadly, these issues fall under a larger policy arena of rural economic development, with many the focus of increasing attention in Wisconsin. While the idea of rural economic development is an increasing mainstay of political rhetoric, its implementation is not as widely discussed. So, how are ideas meant to spur economic development in rural areas applied on the ground? In Wisconsin as well as other states, rural economic development policies are often implemented through a combination of public and private entities – from local businesses and municipalities to the state and federal government. "Economic development needs the public and private sector," said Jim Bowman, executive director of Driftless Development Inc., a non-profit economic development organization in southwest Wisconsin. "It's all about having good data and information, communicating the advantages of a community to people, and telling the story of the community." To tailor economic development efforts to rural areas, policymakers must first develop a definition of "rural" places. However, developing such classification is much more intricate and nuanced than a simple comparison between "rural" and "urban" can convey. For the U.S. Department of Agriculture, rural counties are defined through population thresholds and other factors based on different government programs like housing, community development loans or water and waste disposal grants. In more specific terms, the USDA's Economic Research Service, which tracks various demographic and economic trends in rural America, defines "non-metro" counties as those that have some combination of the following aspects: open countryside, towns with less than 2,500 people, and larger communities with populations ranging from 2,500 to 49,999 that are not part of larger metropolitan areas. Commuting patterns are one of the measures the U.S. Department of Agriculture uses to designate a county as rural. 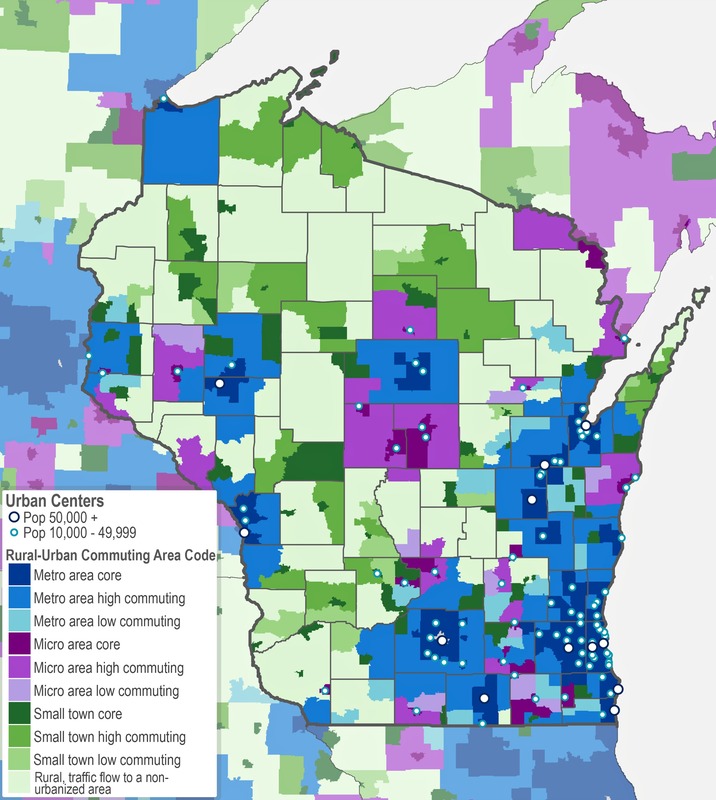 For the Wisconsin Economic Development Corporation, the state government's economic development agency that is charged with supporting Wisconsin's 72 counties and nine regional organizations, "rural" is defined as counties with population densities of less than 155 residents per square mile, using 2010 census populations. Driftless Development works toward economic growth in Crawford County and surrounding areas in three ways, explained executive director Jim Bowman. First, the group attempts to develop new business opportunities by investing in the existing community through education, infrastructure and other resources. Next, it works with existing businesses to support their interests and help them grow. Finally, it tries to attract new businesses to the region. It's this goal which Bowman said the non-profit and other economic development organizations are best known for in terms of their mission. To accomplish these three goals, Bowman said it's important that Driftless Development is aware of state and federal programs that might provide funding or other resources that might fit its objectives. WEDC is one state-level resource for local and regional organizations like Driftless Development. While it supports initiatives throughout the state, the agency does dedicate funding specifically to rural communities, according to WEDC's Barb LaMue. "We look internally at all of our programs and at how we can make it easier for rural communities to assess those programs," said LaMue. "It's not a one-size-fits-all approach." At the federal level, USDA Rural Development works to support economic development in rural America through a variety of loan and grant programs. The agency operates in every state, including Wisconsin, which is divided into six regions. While it doesn't set specific policies, the agency works to implement them, said Frank Frassetto, the state director of USDA Rural Development in Wisconsin. 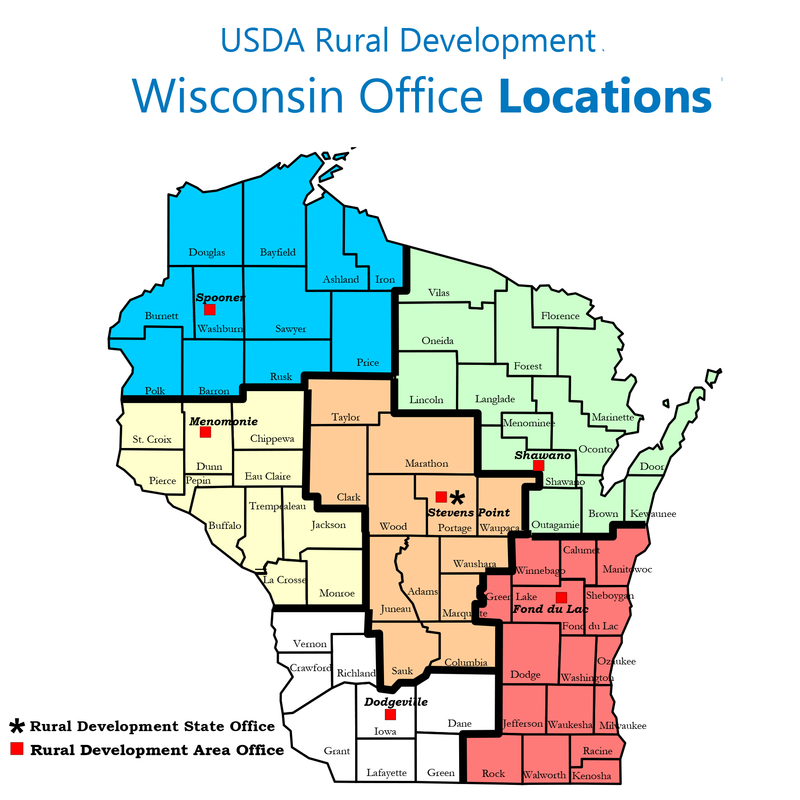 The U.S. Department of Agriculture's Rural Development office has six regions of focus in Wisconsin. USDA Rural Development's goals center around addressing key indicators of prosperity, including workforce assistance, internet access and technological innovation. Frassetto said the USDA's state office identifies rural counties in Wisconsin "that are in need of significant financial infusion." Oftentimes, he and others from the office in take "field trips" to those counties to inform local leaders and residents about available programs that might fit their community's needs. They meet with municipal and county elected officials, as well as staff from local nonprofits and economic development organizations to learn about a given community's needs. A major reason that economic development organizations carefully define rural areas is because priorities and potential initiatives in those communities can differ in some ways from their urban counterparts. Many rural areas, face challenges due to their smaller populations and locations that are often distant from services taken for granted in larger communities. "The big deals don't happen often," said Jim Bowman of Driftless Development, referencing major projects by large companies more common in urban and suburban areas. "So it's about what we have already and how to build on that. Our place-based aspects, land and environment are more important than in a city," he added. Bowman also noted, though, that the internet and social media have leveled the playing field between rural and urban economic development efforts, at least in some ways. Now, he said, organizations like Driftless Development can promote the positive aspects of their region to the same global audiences as those in more urban areas. At the Applewood Business Park in Gays Mills, Building Automation Products Inc. manufactures sensors and other climate control products. The company seeks to promote its rural setting as a selling point for prospective employees. "We took being in Gays Mills as an asset," said founder and president Ritch Stevenson in an interview with Wisconsin Public Television. "We're looking for talent that wants to live in this type of environment, which is rural America, good quality of life, an easy commute to work." USDA Rural Development's Frank Frassetto also acknowledged differences between rural and urban economic development strategies. "The challenges are acute when you're dealing with small communities," said Frassetto. "There's often a financial and human capacity issue, and you have a dwindling tax base in some areas." WEDC's Barb LaMue underscored this point, and said that sometimes rural areas simply do not have the same level of resources as urban places. Some rural areas do not have economic development organizations or staff, she said. City clerks often "wear both hats," she added, which leads regional directors with WEDC to become more involved in some rural projects. Among all the efforts of economic development organizations working in Wisconsin – public and private – to help the state's rural areas, a few issues stand out as particularly important. For instance, Jim Bowman and Frank Frassetto each noted broadband access as a major infrastructure issue facing rural Wisconsin. Driftless Development is working to support the installation of broadband service to all of Crawford County, and USDA Rural Development recently discussed a similar plan for Marathon County. Opioid abuse, child care services, transportation access and housing availability are also important issues. "Affordable housing is a challenge all over rural areas," Frassetto said, pointing to the costs of developments that are not as large in scale as those in cities. "If you have a development project that's eight units, for example, it's hard to make cash flow. You really need economies of scale to make it work." 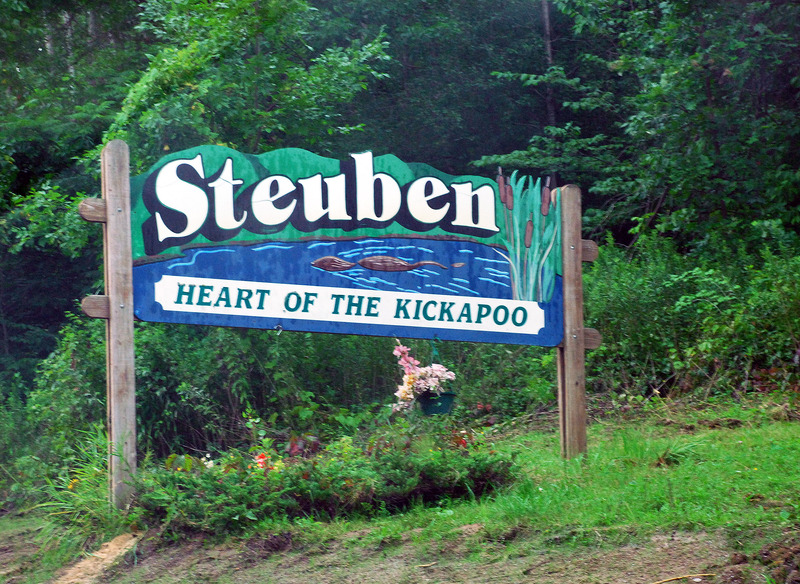 Steuben is a village in Crawford County, situated on the Kickapoo River. While rural economic development initiatives differ greatly depending on specific projects, those involved with implementing them emphasize that their success depends on cooperation. "We work with multiple partners at a larger scale effort," said Barb LaMue of WEDC. "We have staff on the board of directors for Wisconsin Rural Partners as well as representatives in small communities throughout the state." Another non-profit economic development organization, Wisconsin Rural Partners serves as one of 37 state rural development councils nationwide, organized through collaboration with the U.S. Department of Agriculture. 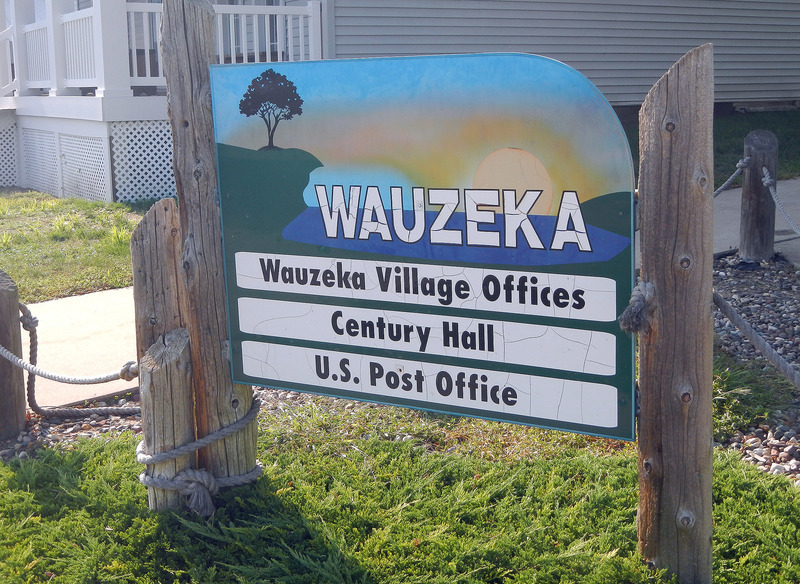 Waukeza is a village in Crawford County, situated on the Wisconsin River. These initiatives comes at a time when rural Wisconsin's population is declining, rural schools are facing challenges and rural homelessness is on the rise. But economic development proponents seem hopeful about their efforts. "When we explain what we do, we see eyes light up right away," said Frassetto. "People say, 'Hey, this is a great opportunity!'" he said. Bowman offered a similar outlook. "What you're seeing in rural America," he said, "is a focus on small businesses and the entrepreneurial ecosystem where we are known as a place where you can launch a business." Editor's note: This item was updated with a video segment from the Wisconsin Public Television documentary Portraits From Rural Wisconsin.